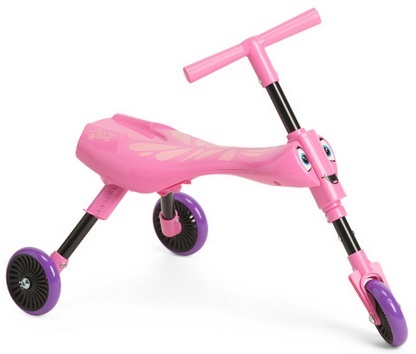 Home > Bike/Trike/Ride-Ons > Walking Tricycle With Foldable Designe Only $15 + Free Shipping! Walking Tricycle With Foldable Designe Only $15 + Free Shipping! January 9, 2019 Comments Off on Walking Tricycle With Foldable Designe Only $15 + Free Shipping! TJ Maxx has this Walking Tricycle With Foldable Design marked down to only $15, plus get free shipping through today! Derby Rocking Horse Only $29 + Free Shipping!! T-fal C530SC Signature Nonstick Dishwasher Safe Cookware Set, Nonstick Pots and Pans Set, Thermo-Spot Heat Indicator, 12 Piece, Black Only $42.49 + Free Shipping From Amazon (was $64.02)!